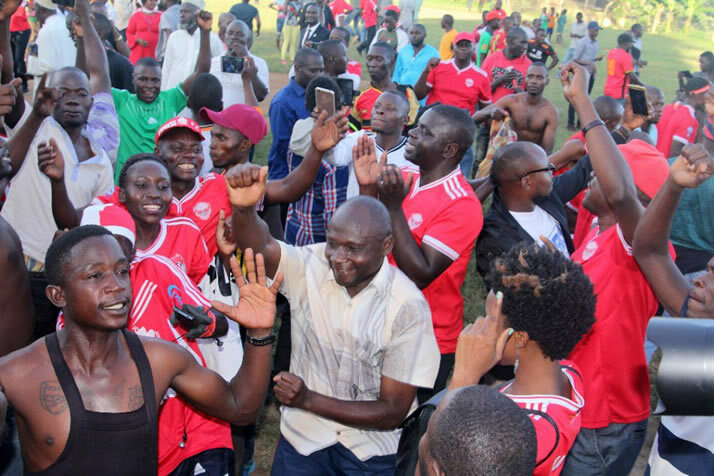 The previous season of 2017/18 of the Azam Uganda Premier League, now the Startimes Uganda Premier League (SUPL) wasn’t a season to remember for the the Red Eagles fans and team as well as it was full of difficulties that even saw them narrowly escaping the relegation on the last match day. However, Express FC has proved wrong their critics and haters this season who thought that things within the club will be much different from last season’s. They have started the season well, sitting in the 5th position of the 16-log table with six matches so far played with 11 points and guess what, they have confirmed a Ugx 400M annual sponsorship deal from leading online betting firm Betway. Thanks to their new chairperson, Kiryowa Kiwanuka who has come with a great change to the club from fans discipline to welfare of the players. The Wankulukuku side confirmed this renewable tune for about three years today morning during a press conference at Hotel Africana in Kampala. “This is a big achievement for the club and we pledge total support for our new sponsors.” Express FC chairman Kiryowa Kiwanuka revealed his delight towards the commitment. As usual, Kiwanuka also urged the club fans and officials as well to remain disciplined as the only way to protect the image of the club and the sponsors. 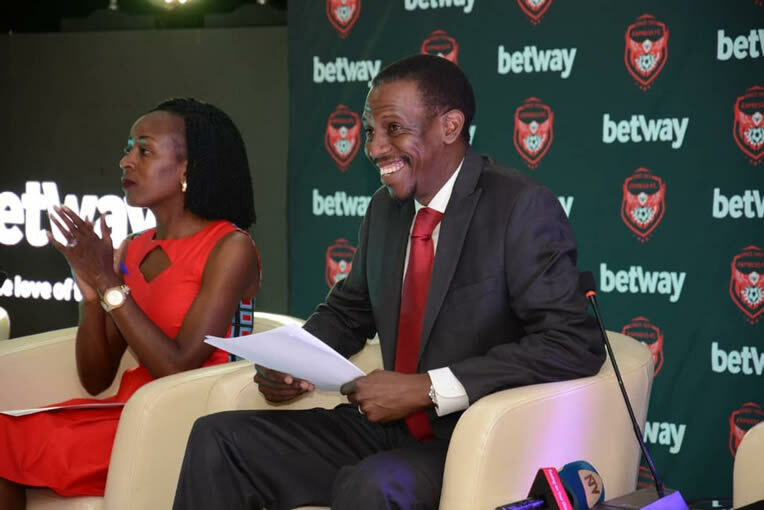 On the other hand, the Betway Country manager Adelle Agaba noted that they were delighted to announce that they are continuing their support for local football. 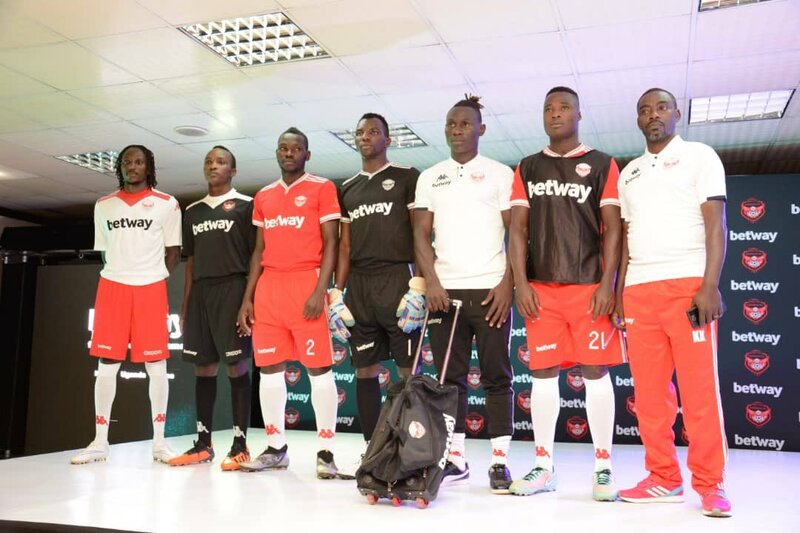 It should be noted that Betway was the official sponsors for Onduparaka FC before they later terminated the contract after the club reportedly defied to bind with the contract details on several occassions. The package includes Shirt Sponsorship and stadium naming rights, packaged with a leveraging budget as development partners for the team and management of the club. The Kit Sponsorship includes all Express kit and merchandise including game days kits, training kit, travel kit and gear. All to be provided by Betway. Stadium Naming rights – The stadium will be renamed ‘Betway Muteesa II Wankulukuku Stadium’. Betway will also be responsible for the Players and technical team welfare. 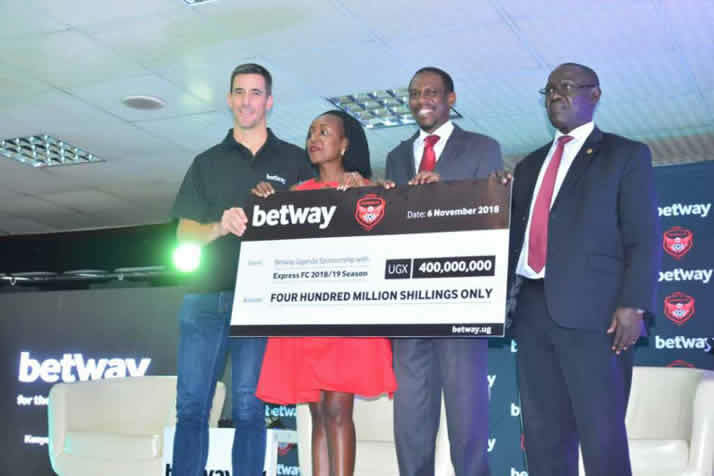 Betway joins Buganda Land Board, Uganda Breweries and Equity bank as the partners for Express FC this season while Express as a sports club joins Betway Power Basketball club, Kobs Rugby club as the three clubs sponsored by the online betting firm.